I have been after better ( more Power ) reversing LED bulbs for my car for a while now .. So the LED produces a little more light , and due to the design , throws light in a very wide pattern . Got in the car after dark and reversed it up my drive way .. Certainly more COLD light emitted , I cant say I could see that much better VIA the mirrors , I think for the naked eye to really see more difference the variable would need to be much greater . Here is the thing though .. These are 7Watt , the factory bulbs are rated 21Watts (?) Sorry such small print and I didnt have a magnifying glass handy .. I will recheck the Watt ratting tomorrow with a magnifying glass . Since then : I still wanted more Power. Bulb 1 is my current emitter in the tail light . No power claim on this one ! Bulb 3 claimed to be 15W so should walk all over my current 7W LED bulb , well no .. So unfortunately the search continues for more Power ! Posted just in case anyone else is looking for more Power in their reverse light . Did you check the actual power consumption because they are often very exaggerated. Even 7W for that bulb sounds quite high and it’s a lot of heat for such a tiny body. I bought a couple of these http://www.ebay.com/itm/301422694415 but only tested them on my working bench so far. Still enough to burn your fingers after only a short while running. I’ll try to get some lux readings, how did you setup your measurement? Did you check the actual power consumption because they are often very exaggerated. Even 7W for that bulb sounds quite high and it's a lot of heat for such a tiny body. I bought a couple of these http://www.ebay.com/itm/301422694415 but only tested them on my working bench so far. Claims 50W! but in reality they are only around 2W :~ Still enough to burn your fingers after only a short while running. I'll try to get some lux readings, how did you setup your measurement? ATM I simply position the light meter in front of the tail light , much like measuring throw for a flashlight ..
Im after the brightest , and current (?) or power ( Watts ) is very secondary ..
Plan is to be more thorough - but I'm not taking it that seriously yet . Its what I can see out the rear view mirrors , having a bad back I find it hard ( painful at times ) to twist my body to look out the rear window . Which is why I put in a camera ( reversing camera ) , but at night the camera is ?? not that flash - I need more light . I was thinking of just cutting the bumper for a light bar , but then you might run into Australian design rules ( ADR ) ..
A light bar for reversing?? 600 candelas in directions below the horizontal plane. 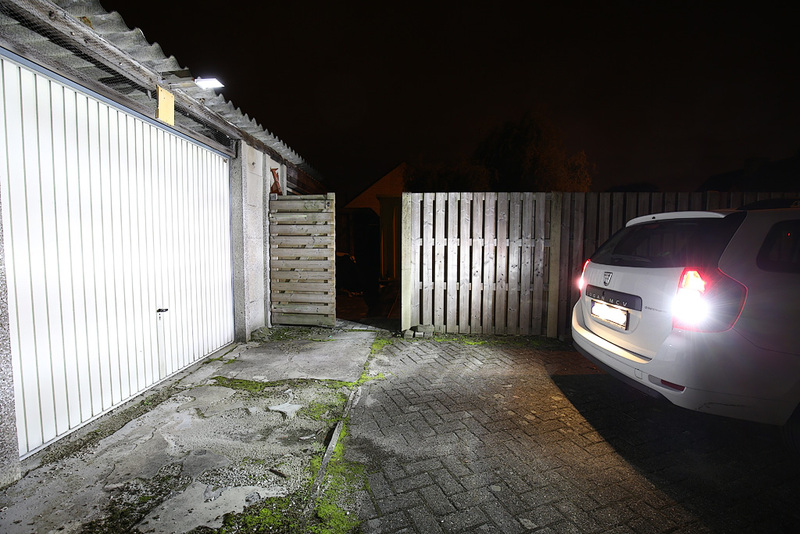 Seeing where your going when reversing at night was never a primary concern . I was actually considering driving lights , but thats apparently a no no .. I dont know why they wont let you see where you are going when reversing at night ? But the light bar would be controlled by an internal switch . I remember when I used to go bush like every second week end , reversing was such a PITA because you could see next to nothing ..
As I said , the search continues .. I guess Chinese Watts dont help .. One says 7 the other 15 and turns out the 7 is much brighter ? Guess what I must want would be around 3Watt if that power curve is correct .. I know what you are saying, and I will do the same myself when my eyes, and back, mean I need more light, what I would/will do is to hide the light just under the car, take the power through a switch and relay from the standard reversing light wiring so the light can only be turned on while in reverse, using the standard lights only when around traffic which usually means there is enough street lighting anyway and turning the big guns on only when needed. Reversing is always an issue in my work van at night- there is precious little light and it’s by outside mirrors alone. A medium rain and I can’t see anything which doesn’t reflect at least some light. I was considering some of these but most reviews aren’t useful- your’s definitely is! FYI there is a 50W Incan bulb made on this base pattern but 2 problems emerge: circuit load and heat. The latter is probably OK as these lights aren’t operating for long, the former could pop a fuse or toast wiring. I haven’t tried this myself. Illumination for reversing doesn’t need a lot of ‘throw’ so perhaps a small light bar aimed downward would work, letting the refracted and reflected light do the work. That could be totally hidden under a car and would have the advantage of lighting the back of your car so other driver’s couldn’t miss seeing you and what you are doing without blinding them. @David, the relay inter-tie should eliminate legal problems but most vehicle codes will allow accessories to assist with medical conditions such as old4570’s back problems and it would be a rotten Cop and Judge indeed who took someone to task over such a thing if it were explained to them as such. I think the worst end would be them telling you it has to be removed with no fines, but likely would be the charge being summarily dismissed. (sarcastically) Just what I need, another project needing to be done. (seriously) Good Job and Thanks! I guess the relay is a fantastic idea and use a switch to control when the relay can be switched on .. The other way would be smoked lenses covering the lights and cut/installed into the bumper .. This would mean butchering the bumper ( possibly ) .. I might buy a used bumper from a car with the same color as mine ..
Back when I was driving a cheap Chinese scooter to work every day, I had bought a lot of these 12V LED automotive bulbs, and the variety you showed as your first attempt was the only one I could find that worked well. 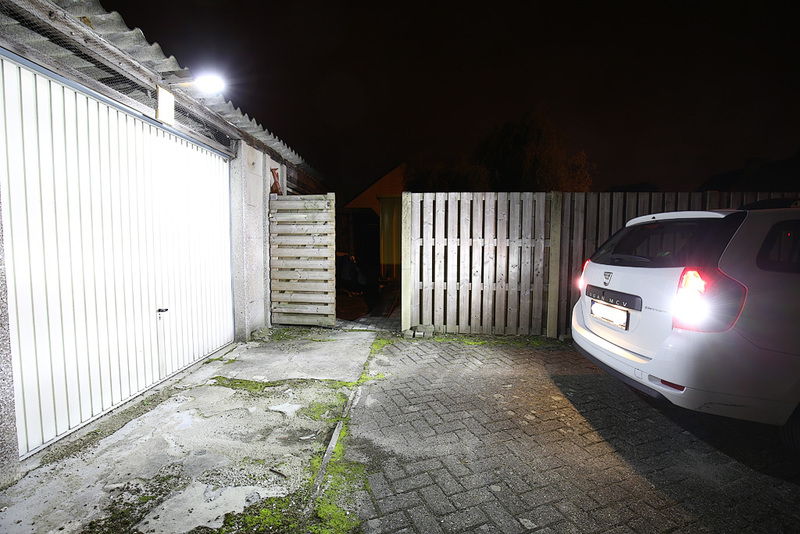 I’ve tried several of the various bulb styles available, and this style was the brightest, by far, with good output pattern to work well in automotive reflector fixtures. I was concerned about heat, especially as these are enclosed in a module with no air circulation, and are used constantly while the vehicle is operating, but I never noticed any issues. I’m still using one of the bulbs in my newer bike as the main brake/taillight bulb, and it’s still going strong. 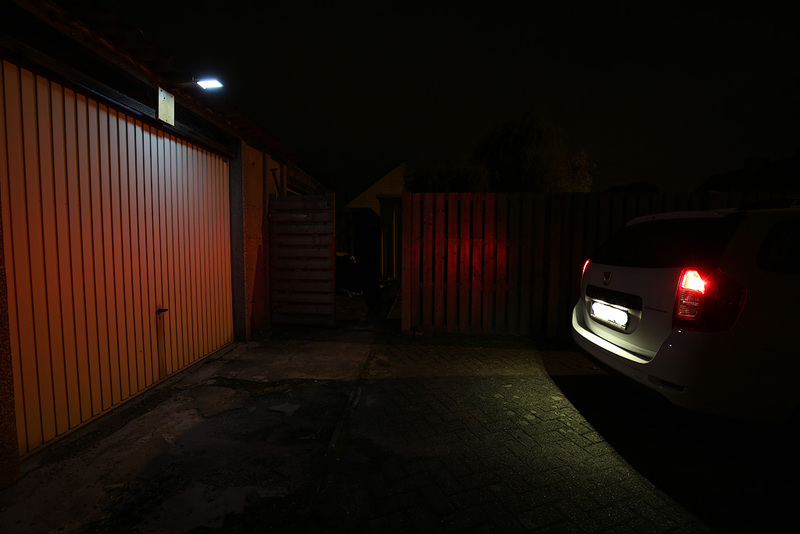 I am using these for 8 months in my Dacia Logan MCV II, they are very bright, much brighter than the 21W bulbs. They need to have two brightness levels because they would replace the T20 21/5W daylight running lamp/marker light. Is the metal loom a heat removal system? Like a passive radiator? Looks good to me. Possible to get a pic of it? Camera settings Manual f7,1 / 4sec / iso400 automatic white balance. The color of the led lamps is neutral white (not blue, not yellow, just white). i put a luxeon altilon 1×4 in each of the reverse lights of a 71 olds 442.the lights are metal and can take the short term heat.at 1a each thats about 900 REAL lumens.EACH!it looks like daylight behind it in reverse. i thought of a switch to flash them to back off tailgaters.the bare led is nasty to look at directly.the lense softens it a bit. Kind of crappy picture comparing stock w16w bulb and “50W” ebay led (link above in my previous post). It’s hard to notice any big difference, except for the tint. Whooaaaa. Thanks for these pics. You even got me interested in this solar light! This read led light looks hella bright. Just what I might need! Is it just a remove and replace bulb or is some modding needed? Any heating issues? Re-reading the thread meanwhile for answers! Well, I can find out but the dx website does not specify the led plug type…. In the manual of your car you can find out what type of bulbs are used. 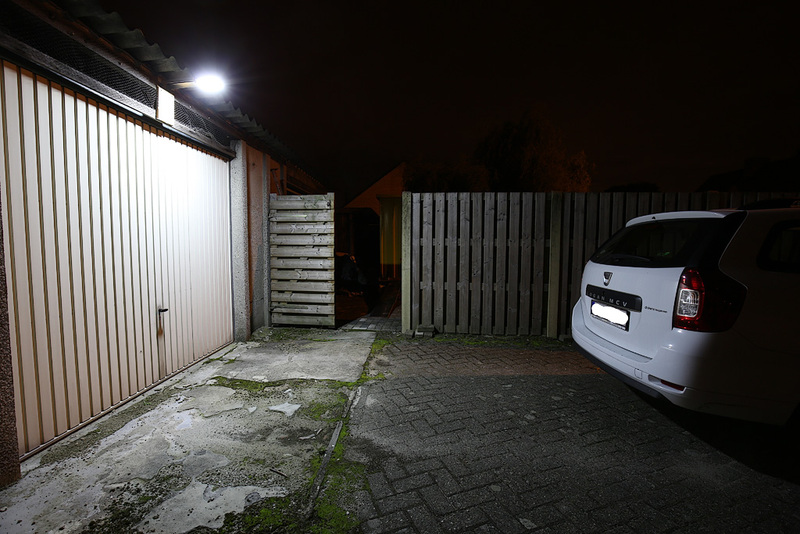 The led “bulbs” are avaliable with most types of fittings, but some led bulbs are larger than the standard car bulbs. 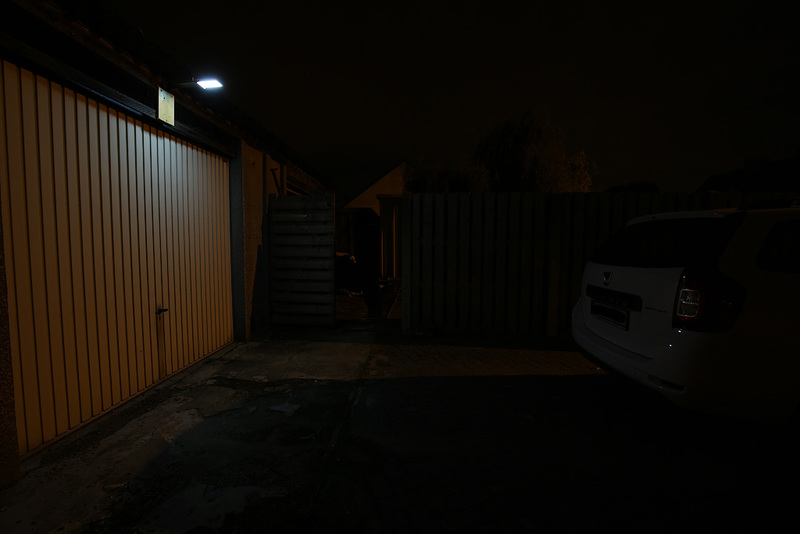 The solar light is much brighter than this cheaper version http://www.dx.com/nl/p/outdoor-solar-powered-voice-control-1w-400lm-6000... .
Just mount it in a place where there is as much sunlight as possible. It always looks brighter on a photo because the lightmeter in the camera tries to get the lighting of the photo as correct as possible. If there is not mucht light, the shutter stays open longer. But the led reverse lights of my Dacia are pretty bright now, much brighter than the 21W bulbs. Wow! I never expected reverse lights can be this bright. Thanks for sharing Hobbyfotograaf! Gonna install these on my van. I tried a couple LED “globes’ originally. YUK. Spent $35. bought a pr of 6in small LED bars, centre beam. outers spread. Left originals in, with a dash sw to others. Backing in dark, nobody around. It’s near daylight for 40yds back. Anybody around. just use std. no problems. Yeah , most are junk ! But every now and again you read / see a video where they score something bright … But how bright ..
you ever thought why reverse, sign and also turn lights are limited in their max output?